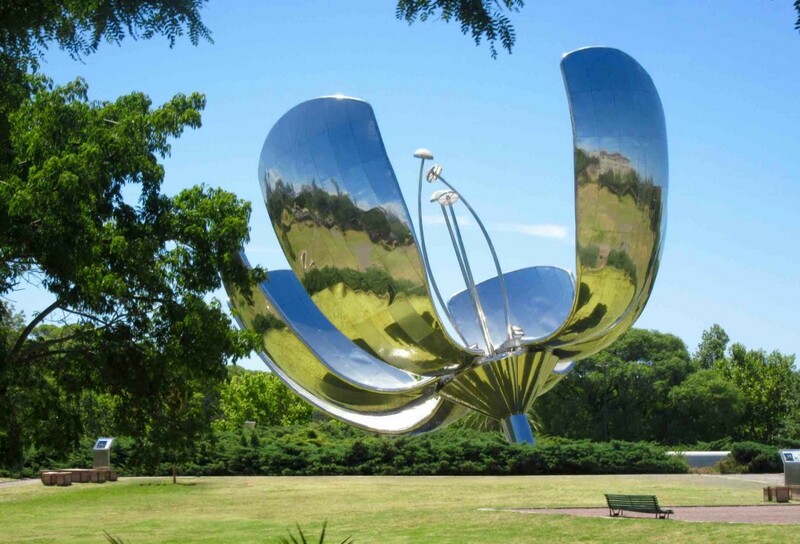 Six enormous 23-metre high stainless steel petals made from brilliant, mirror-finish, stainless steel form a massive flower sculpture created in 2002 by Argentine architect Eduardo Catalano. The flower sculpture (Floralis Genérica) sits above a reflection pool and amazingly opens and closes its petals according to the time of day. This update was brought to us by ManAboutWorld correspondents John Walker and Gavin Patterson. Here’s more info about Floralis Genérica. ManAboutWorld has plenty more info on Venice and many more destinations around the world! Download our very cool digital gay travel magazine for destinations around the globe. Find the ManAboutWorldApp on the iTunes App Store or Google Play. We support iPads, Android tablets, iPhones and Android phones. There are a few free publications in all of the apps, and you can click here to register for a FREE three-month subscription. Go on, what are you waiting for!